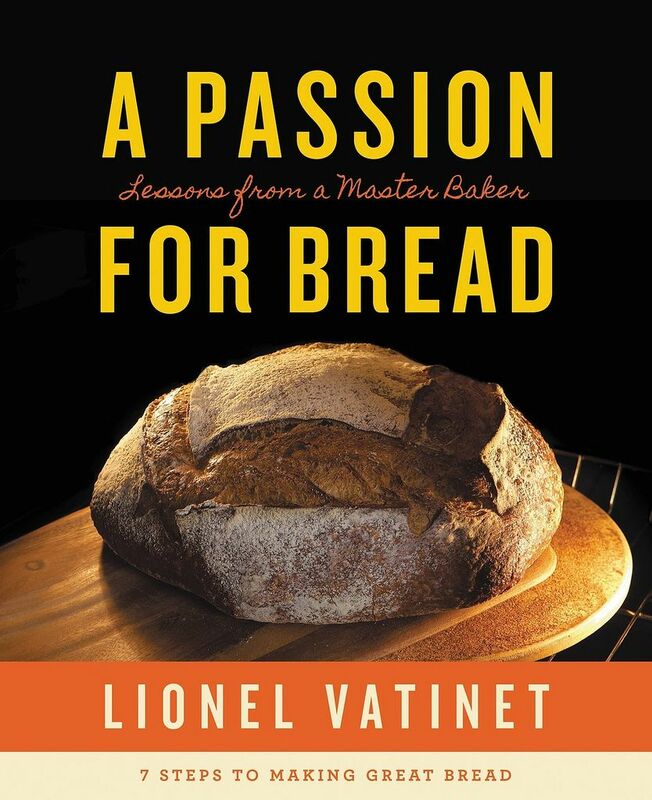 Today: We break bread with North Carolina's baker extraordinaire, Lionel Vatinet, as he discusses his new book and demystifies artisanal bread for the home baker. A strip mall in Cary, North Carolina is likely not the first place you'd go looking for artisan bread. But that's where Lionel Vatinet -- a French certified Master Baker and teacher -- has built his bakery. After working as a teacher for years, Lionel opened La Farm in 1999. Ever since, Lionel has developed a loyal following through his artisan breads, sandwiches, and sweets. ("It's not a traditional French bakery," he told us. "We sell cookies.") 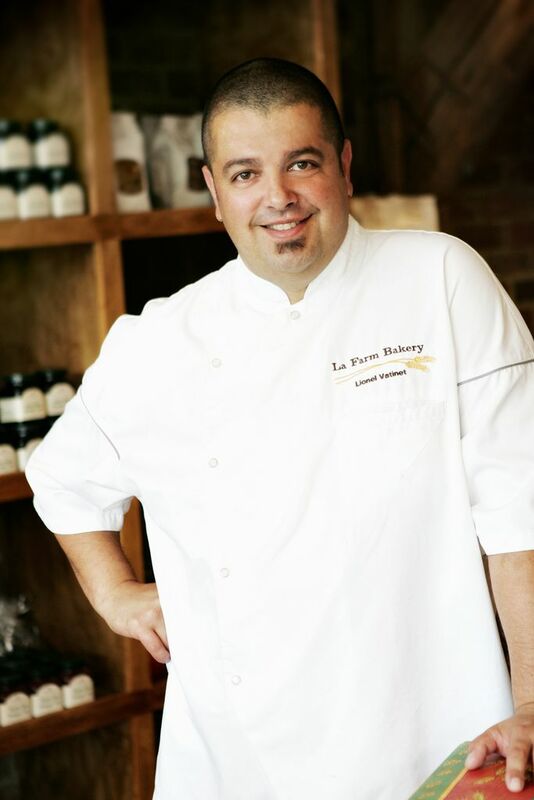 He works with local millers to source the highest-quality whole wheat flour, and passes on the techniques he learned during 7 years of study with the Les Compagnons du Devoir bakers' guild in France. The result is a chewy, sour crumb; a bubbly crust; and potential for a killer sandwich. When did you decide that you wanted to be a baker? I was 16 years old when my mom sent to me to apprentice with different types of artisans. I wanted to learn a skill. On my first day in our neighborhood bakery, I knew I’d do this for the rest of my life. 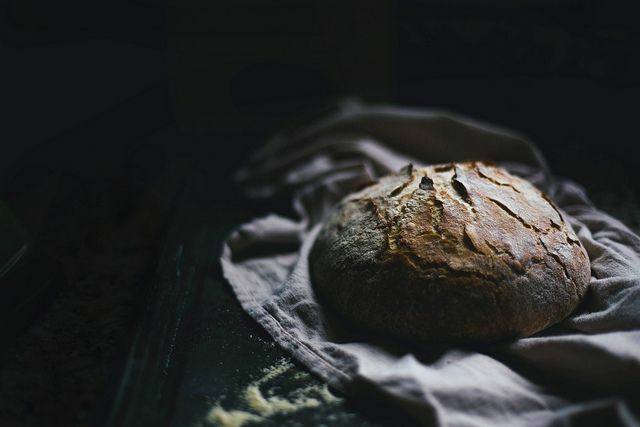 I instantly fell in love with baking and everything that goes along with it -- the feel of the dough, the smell of the breads -- and to be able to produce something that feeds and nurtures people is a gift. It’s an art that gives such pleasure to everyone, and it's such a fundamental part of every day, every culture. I’ve had a love affair with bread for so many years now. What is biggest challenge that home bakers face that professional bakers don’t have to worry about? A crusty exterior is often the difference between a professional loaf and a home-baked loaf, which is created by steam in the oven. I’ve included a simple technique in my book that produces the same results you’d get using a professional steam-injected oven: It’s a stainless steel bowl. You simply cover your bread with a stainless steel bowl while its baking, and remove it after 10 minutes. This will create a steam chamber and help to produce a crusty exterior. So easy -- a great technique for both first-time bakers and more experienced bakers! How do you understand the importance of having a teacher when learning to bake? Is this why you decided to write your book in such an instructional way? After decades of teaching professional and home bakers, I’ve found that most learn to bake bread when they can see the instructors' hands at work, which often means a hands-on class. I teach that way weekly at our North Carolina bakery, La Farm Bakery, and around the country. So it was very important to me that my book recreate this feeling as best it could. I wanted my readers to feel as though I was right there with them. So we worked hard to offer step-by-step photos and captions for every single recipe. More: Here's how to make your own lovely loaves. What do you see as the easiest yeasted recipe in your book? Ciabatta – because there’s no shaping. All you do is put four simple ingredients into a mixer, fold over several times in a greased bowl, and once it's proofed, you’re ready to bake. Shaping techniques take the longest to learn, and you don’t have to shape Ciabatta. You can also serve it in a variety of different fashions and with different ingredients. 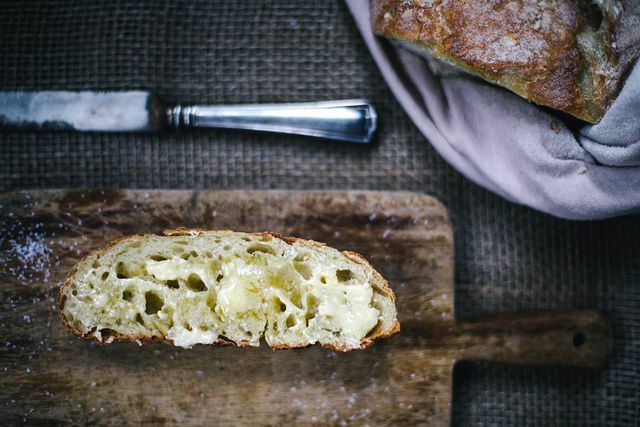 For example, you can bake it on a stone and make a classic Ciabatta bread, add ingredients like blue cheese and walnuts and create your own flavored ciabatta, or place in a pan to make focaccia with tomatoes and basil. You can even make pizza and flatbreads with it! My goal with this book was to teach four basic doughs and the fundamentals to make a great bread -- with the knowledge that the loaf can reflect your imagination. It can reflect your own passion for bread. What’s the biggest mistake that home bakers make? Not accurately measuring the ingredients is the biggest mistake, and a scale is the most accurate way to measure. In A Passion for Bread, I highly recommend that even home bakers invest in a scale and use this rather than cups for measuring. It’s much more precise and will get you off to a good start! Getting a good crust is the toughest for me. Finding good, fresh flour is the hardest part for me. I find my oven to be the biggest issue when baking. Knowing when its ready to bake, has it risen enough? And at what temperature to have a nice outer crust with a bit of a chewy center, especially for a sourdough.
. . . if you are using a stand mixer, it will overheat before your bread does; and if you are kneading by hand, you will tire out long before your gluten gets overdeveloped. For those of you who tire of kneading, let the dough do the work for you! The gluten will develop on its own, beautifully, shortening the time required for kneading, if you just let the dough sit for about 25 minutes after you do an initial minute or two of kneading, once the dough has come together. Try it. You will be amazed. You will never find kneading too tiring again, because your dough will only require five or six additional minutes, at most. It's almost magical. Cover the dough with a damp tea towel while it's resting. The kneading. I wear out so quickly, and I never feel I've done enough. Getting the crispy crust is my biggest challenge - the stainless steel bowl idea is fantastic, I'll have to try it next time! The most difficult thing for me is to let it cool completely after baking before cutting into it! I know that I should wait, but more often then not I just can't do it. Getting the dough to rise as much as it is suppose to. My biggest challenge right now is getting a nice crunchy crust - no matter what I try - water sprays, dutch oven, it never really seems to work right. I'm going to try the stainless steel bowl method suggested here - cause hope springs eternal! Accurately baking in a toaster oven provides many obstacles. The hardest part for me is waiting for the dough to rise, and not quite knowing what's the right temperature, how to get my kitchen to be that temperature, and knowing when it's risen! My many, many mistakes have been from not knowing the right "look" or "feel" before moving on to another step, becuase I don't have a baker by my side to guide me in that. For example, an experienced baker could tell me when I've over or under kneaded something, when it has too little/much flour, and when it's risen enough. Every failed loaf has helped me come closer to baking confidence though, because I know "Well THAT wasn't right. Somehow..." and I do learn from that! Our high altitude and lack of humidity pose challenges in consistently getting a good result. It's always edible, but not always pretty. Finding a good way to bake it--I've cracked two of my favorite stones this year! Sourdough! I can't seem to master getting a good starter. It seems like it should be so simple. You can order a Great starter from King Arthur Flour for really cheap. It just has to be fed a couple of times before it can be used. The hardest part for me is sifting through bad advice and finding reliable sources for advice, tips, and recipes. This website is my go-to. I live in China, so I bake with a toaster oven. These days, everything is a little bit harder. Hardest part for me is knowing when the dough is finally proofed.